Located on the Colorado River in Mohave County, Bullhead is a city in Arizona, United States It is roughly 90 miles south of Las Vegas, Nevada, and directly across the Colorado River from Laughlin, Nevada. Casinos and ancillary services supply much of the employment for Bullhead City. If you’re planning a trip to Bullhead, let Via Trailways help you get there! We want your trip to be as stress-free as possible so you can focus on having a relaxing and fun-filled time. You don’t worry about having to find a spot to park your car or paying to park in an expensive garage. 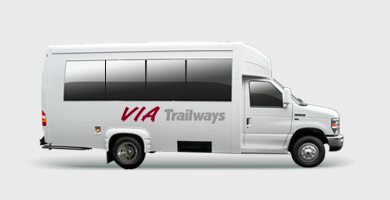 When travelling with Via you’ll be able to relax in one of our comfortable, secure charter buses after a long day of fun. Golf, dine, or enjoy a relaxing day at the spa at Laughlin Ranch Golf Club. Discover more about this historical landmark at Colorado River Museum. Experience great views and boat rentals at Bullhead City Community Park.